Wireless devices such as 2.4 GHz routers, wireless speakers and wireless mice may interfere with the ANT+ and Bluetooth signal. ANT+ and Bluetooth use the 2.4 GHz band. Try moving any other wireless devices a couple of feet away. Some PC's have variable battery settings. 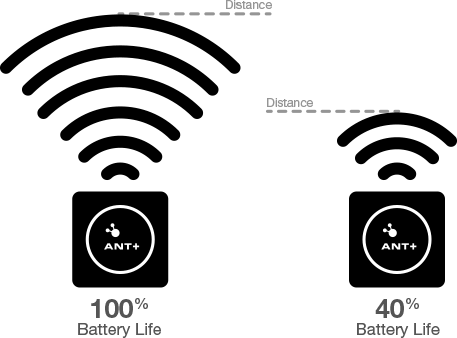 If your battery is set to "balanced", your computer may not be allocating enough power to the USB ports for the ANT+ stick or built in Bluetooth receiver to work well. Switch your power-management setting to "high performance". Email our support staff at support@trainerroad.com. We'll help you out!